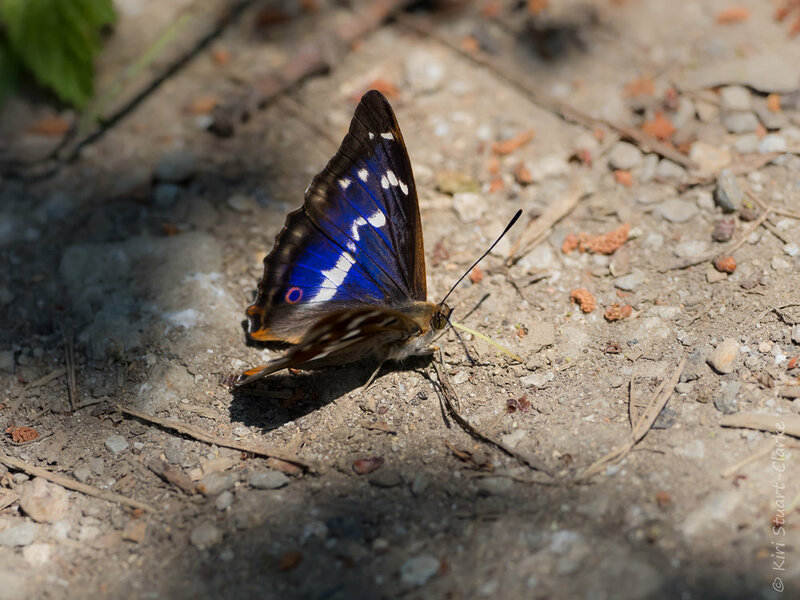 We tend to think of butterflies as nectar drinkers, but in fact their diet varies significantly by speces, and also by season. 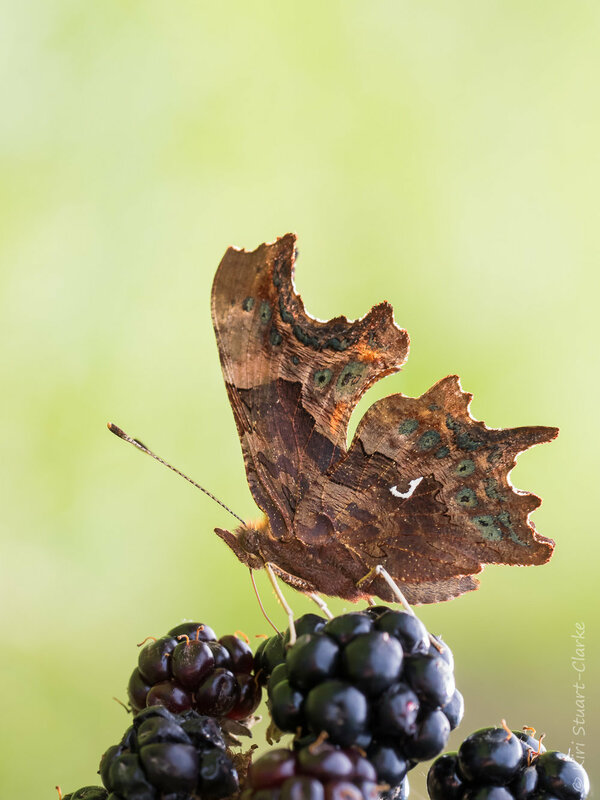 At this time of year as the blackberries ripen on brambles, many species especially hibernating Nymph butterflies like this Comma butterfly (Polygonia c-album are as partial to a bit of blackberrying as you or I! As July went on our heatwave turned into a full-blown drought that saw harvests fail, lawns wither and die, and ponds dry up. At Nar Cottage, even our hardy native wildflower meadow turn a rather bleached shade and our parched front lawn became covered in the gold heads of Cat’s Ears which proved popular with Skipper and White butterflies. East Anglia was the region worst affected by the drought in the UK, experiencing only 3.4 days of rainfall in July and recorded on 21.1mm of rain in total for the entire month. 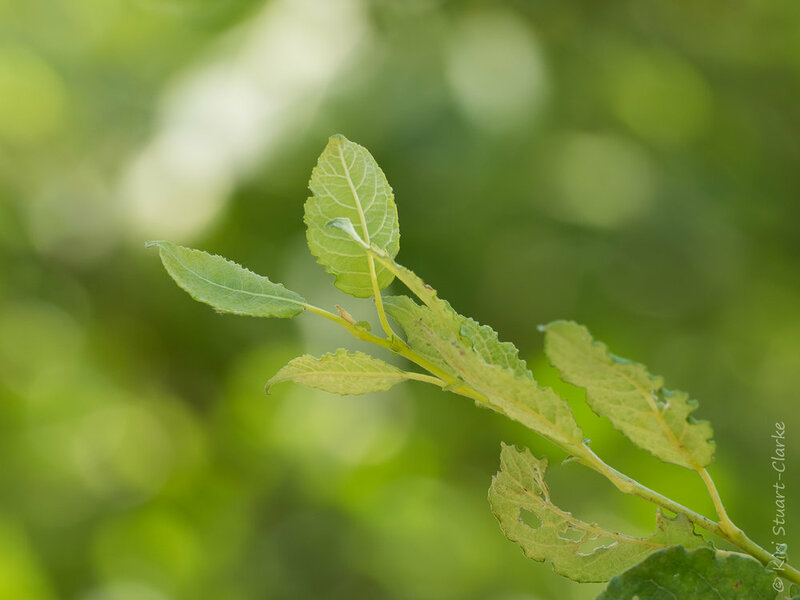 It wasnt just plants that suffered during the prolonged dry conditions however, butterflies and other plant-munching insects did too. As many plants wilting away, caterpillars struggled too. 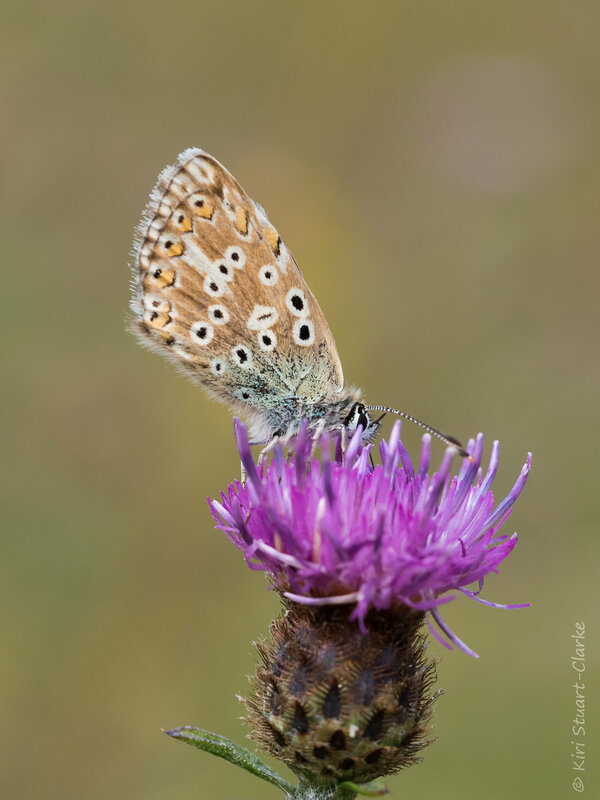 One interesting survival tactic for later flying broods of butterflies such as Common Blues was to call it a day and pupate early, emerging from their metamorphosis perfectly a formed, but far smaller adult butterfly than usual. 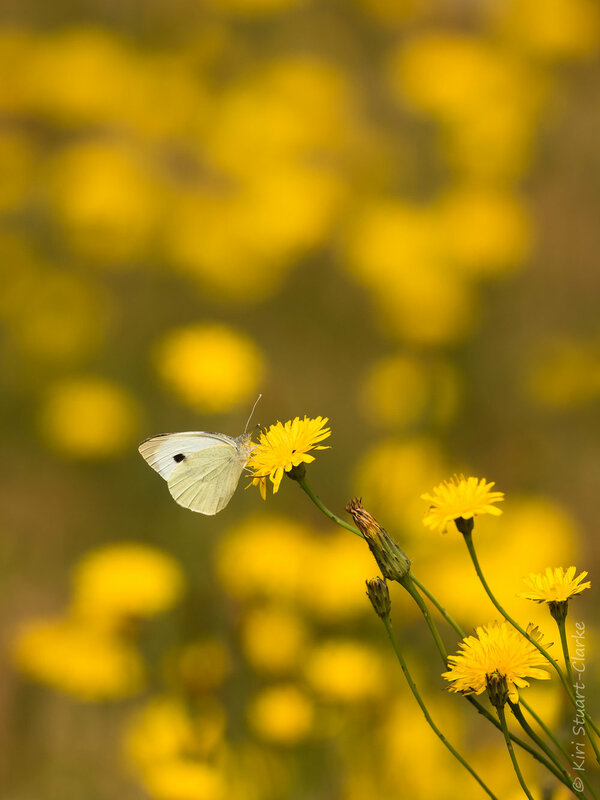 A Large White butterfly nectaring on Cat’s Ear’s that covered our parched lawn during the long summer drought. Both species seemed to fare well. Red, White and err, Pink! 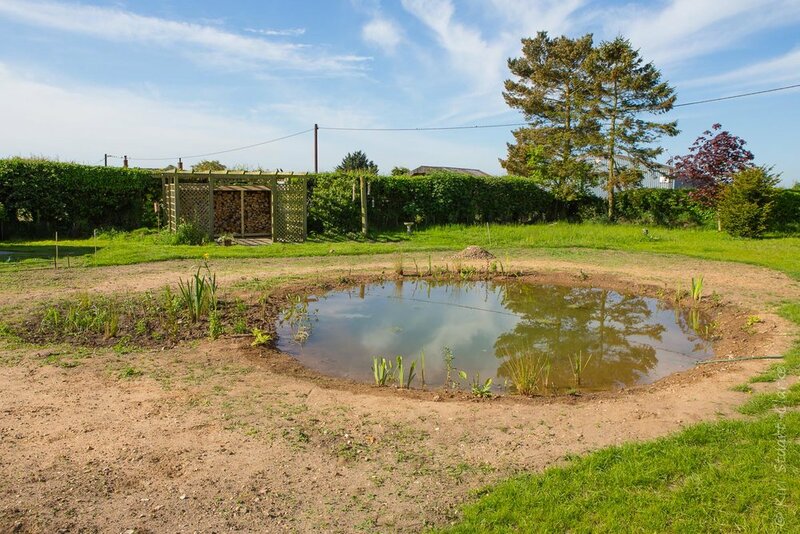 Watching Nar Cottage's nature pond transform from a muddy hole in our clay earth into a lush, thriving, diverse insectopolis has been one of the most fascinating and rewarding experiences of our five-year wildlife gardening project. 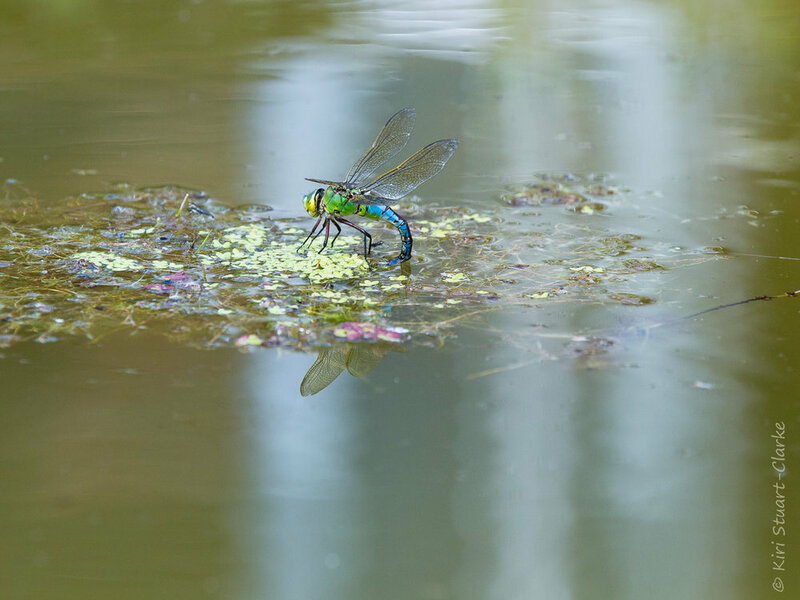 Each year we've seen a new species of dragon or damselfly colonise our pond. This year a further arrival brought the grand total to some nine species, five dragonflies and four damselflies. Here they all are, in order of appearance and colonisation. This is the story of a humble pond's evolution into a local wildlife mecca. 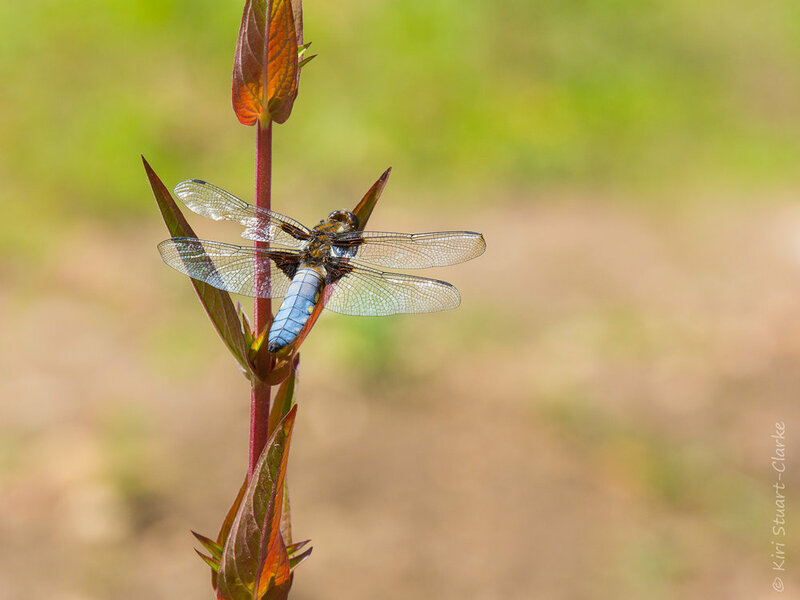 First on the scene was a large male Broad-bodied Chaser dragonfly, Libellula depressa, arriving the very first week of June 2014, our pond's first spring, closely followed by a female. A beautifully marked dragonfly of early summer with a penchant for shallow sunny ponds, the males are a dusky shade of powder-blue and the females a rich mustard yellow. Broad-bodied Chasers return in 2018 after missing a year. Highly territorial, this one saw off a passing Southern hawker dragonfly. 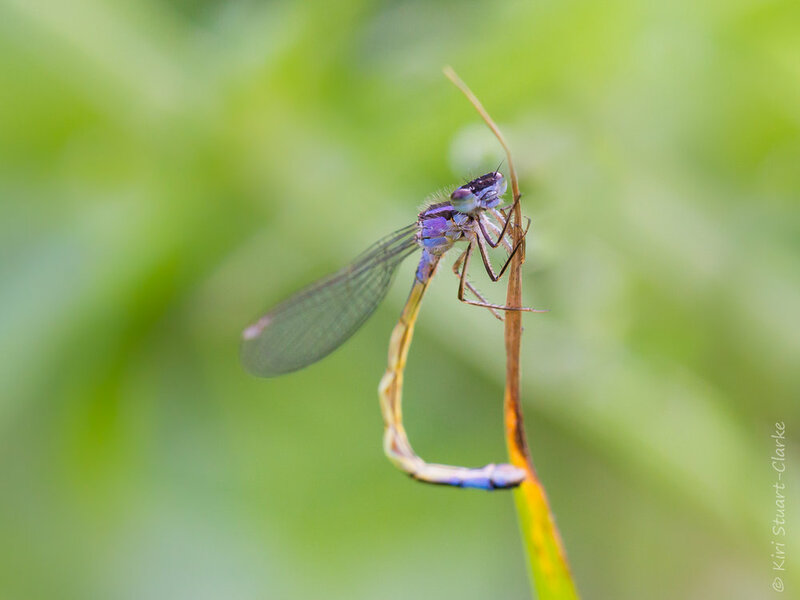 Next to move in on the 1st of July was my very first damselfly species, the vivid Azure Damselfly, Coenagrion puella. Blue damselflies can be quite hard to identify but I discovered the Azure's distinguishing feature is that it has two short black stripes on the side of its thorax, whereas the Common Blue Damselfly, Enallagma cyathigerum only has one. They took to our pond enthusiastically and set about ovipositing eggs for future generations! Azure Damselflies ovipositing in tandem. Adult male Azure Damselflies are vivid turquoise. Most females have wide black bars on their abdomen with a lime green colour, about 10% are blue in colouration. Immature Azure Damselflies are pale lilac (the females predominantly black as in their adult form) and have brown eyes. Our third arrival was the dramatic and impressive Emperor Dragonfly, another species I'd never encountered before. Carrying an equally imperial latin name Anax imperator is one of the UK's biggest dragonflies and undoubtedly the most regal. According to Lewington, the Emperor's "vigour, aggression and agility in flight are unequalled in Britain". 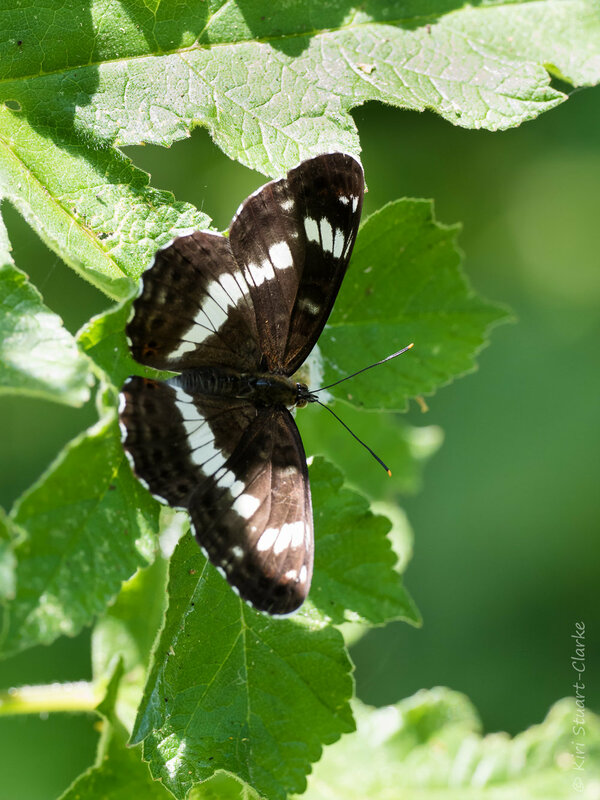 The Emperor has a reputation for being a bit of a pioneer species and is known for colonising younger ponds so it made sense to see it early on in our pond's existence. The larva have a fearsome reputation for their creative hunting methods and can occasionally mature in a single year although they usually take two. The surrounding meadow and in subsequent years also pond foliage rapidly filled in to envelop the pond so I never did see an Emporer again. 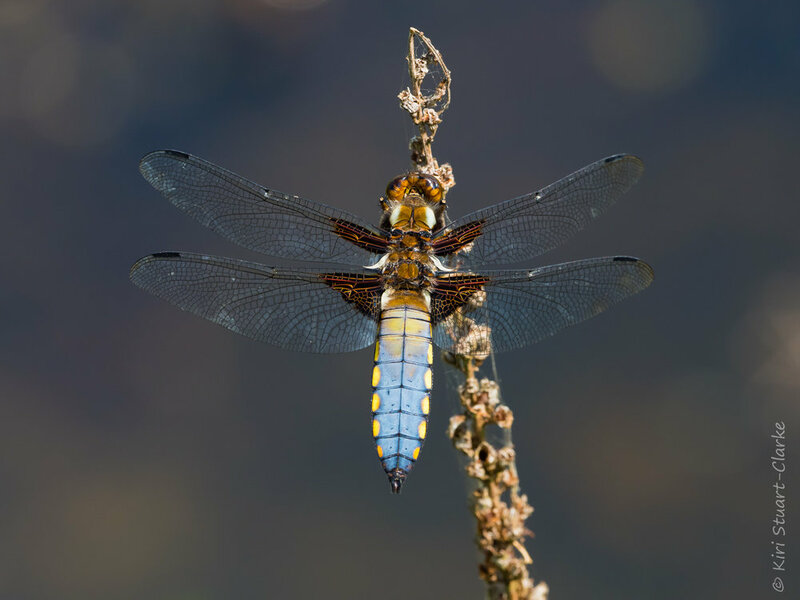 August brought another two species, one dragonfly, one damsel and the total to 5 dragonflies in our first season. 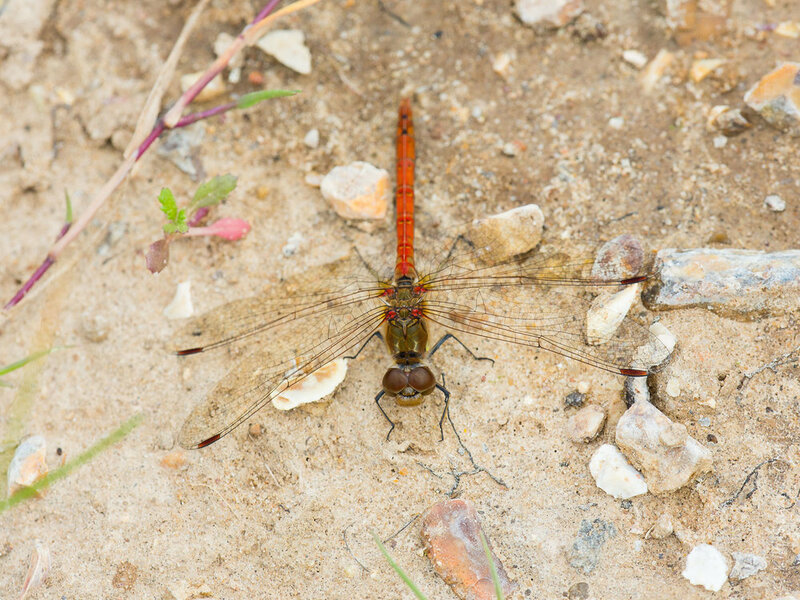 Next up was the Common Darter, Sympetrum striolatum, first spotted basking on the bare earth next to the pond. A month later I was even more excited to see a mating couple zooming around our pond, hopefully ensuring future generations to come. My second August arrival proved to be the Common Blue damselfly, Enallagma cyathigerum, which has a flight period from May through to September. Blue damsels can be tricky to distinguish from each other, but the single short stripe on the thorax and all blue tail segments help to separate the Common Blue from similar species, its also a stronger flier. My next new species didnt show up until nearly a year later in late July 2015 but, a bit like busses, suddenly two came at once. The Blue-tailed damselfly, Ishnura elegans and another life first for me, the Four-spotted Chaser dragonfly, Libellula quadrimaculata both showed up the same day. 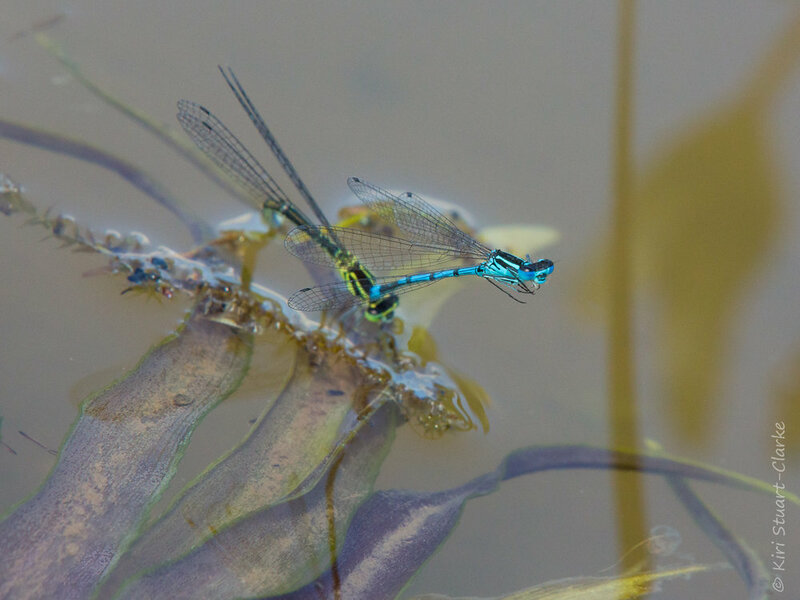 Blue-tailed damselflies are variable in colour and also change colour as they mature so can vary a lot in apperance, in particular there are so-called rufescens (pinkish) violacea (violet) and infuscans (green) female forms. With its fast, agile flight and distinctive wing markings, the Four-spotted Chaser dragonfly, Libellula quadrimaculata, was a exciting addition to my wildlife pond's dragonfly tally. Much like the Broad-bodied chaser dragonfly, the males are highly territorial and persistently patrol their patch and return to the same perches to challenge rivals and the two males often held sparring matches over my pond. 2017 only saw one new arrival, bringing our total to 8 different species. Our pond was now 4 years old and becoming pretty mature as a micro-habitat. 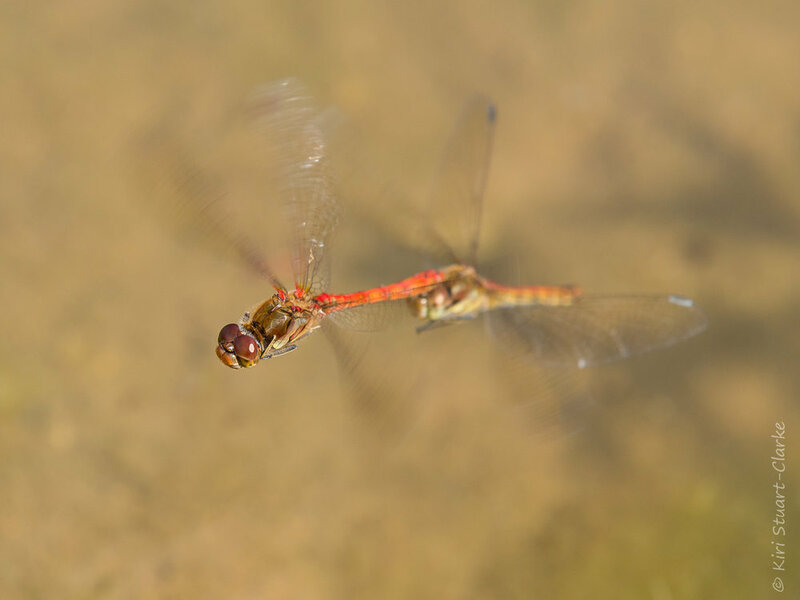 The Ruddy Darter dragonfly, Sympetrum sanguineum, was our new addition. In the past this dragonfly was a major source of identification confusion for me due to its similarities with the Common Darter and it was satisfying to finally get a good view of the jet black legs that distinguish it most readily. Last but by no means least in my line up is my recent 2018 sighting of the Large Red damselfly, Pyrrhosoma nymphula. It made its debut on the Nar Cottage wildlife pond stage on 28th May. Frequently one of the earliest damselflies to be seen, I'd often spotted it in late May on visits to Stoke Ferry and Hoe Rough . 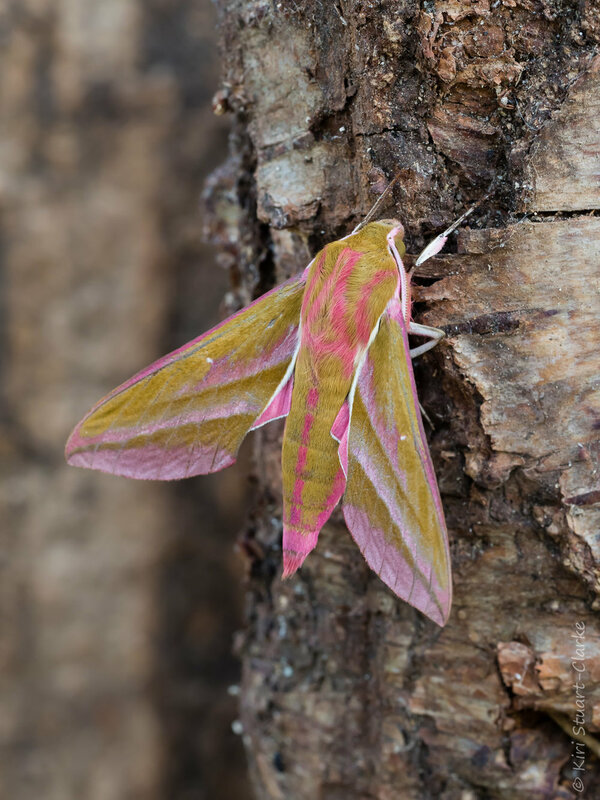 With its distinctive colour it was most definitely a newbie in our garden. Its wonderful to still be seing new species colonise this micro-habitat we created even after 5 years and though my pond's evolution is perhaps slowing and stabilising now I continue to hope for more sightings. Who knows, someday this line up may yet turn into a top-ten list! I spent a gorgeous bank holiday weekend pottering around our wildlife pond, watching the Azure damselflies wafting about in pairs and aerial dragonfly wars between the powder blue Broad-bodied Chaser and custard yellow Four-spotted Chaser dragonflies to rival any aeroplane dogfight as each fiercely competed for territory. Suddenly among all the vivid blue Azures I quite literally saw red, that is, a pair of red mating damselflies! It was another first for Nar Cottage pond as they proved to be Britain's Large Red Damselfly (Pyrrhosoma nymphula). Flying earlier than its cousin the Small Red Damselfly (Ceriagrion tenellum), it can also be distinguished by its black legs and strongly striped antehumeral markings. After a second fruitless jaunt hoping to photograph some rather shy Green Hairstreaks, which seem to be having a good season this year, my sunny late May Sunday ended up being an impromptu tale of two Blues in my own back garden instead. As I was resting on my patio I spotted our first blue Broad-bodied chaser dragonfly posing ostentatiously by the side of our (now very low) wildlife pond, barely a day after our first Four-spotted chaser appeared. Both were trying to hold territory and I was entertained by some impressive aerial battles. A subsequent gentle lap of our garden yielded a female Holly Blue Butterfly busily ovipositing on the native shrubs in our wildlife hedgerow that borders our garden and now in its 5th year is nice and dense. Our wildlife garden just keeps on giving year after year. 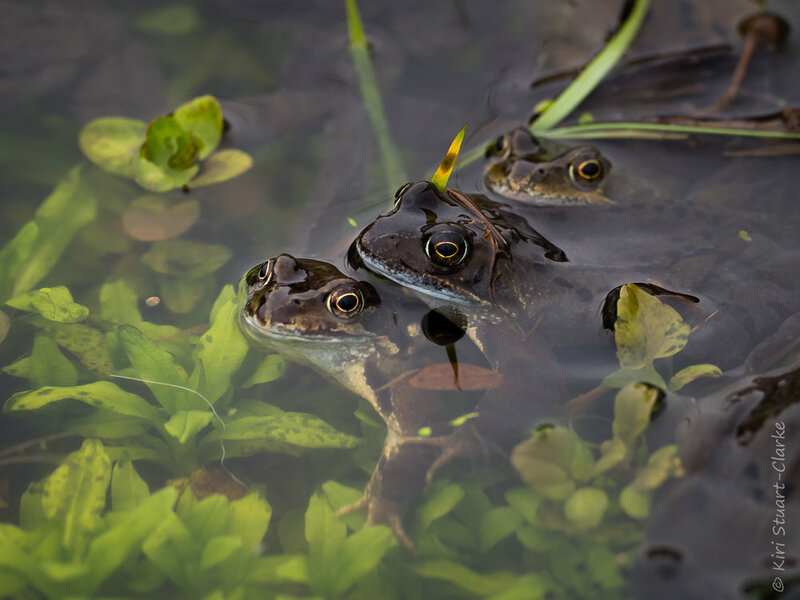 A surprising number of tadpoles survived this year's late snow and frosts to hatch out, proving that nature has long coped with such seasonal extremes. Once hatched, a tadpole's lot does not get easier by any means, because along with the warmth, their nemesis the Common newts have returned. 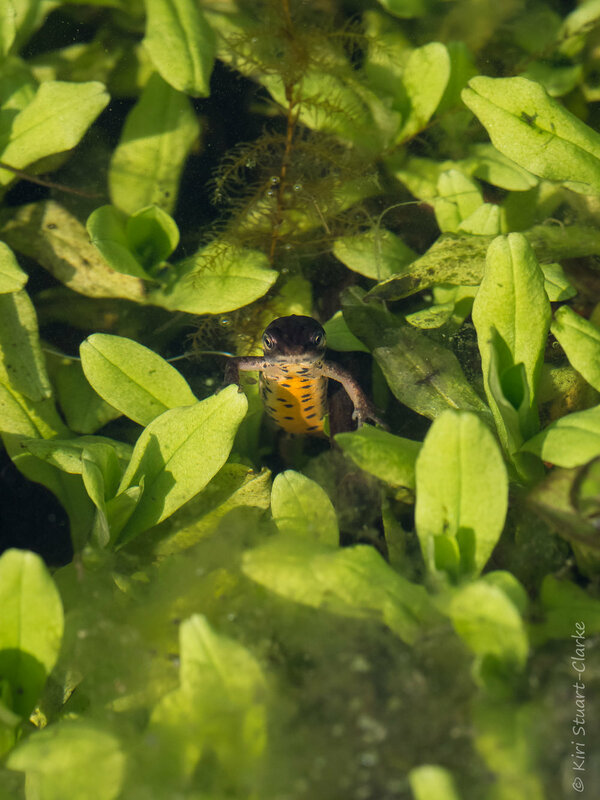 Common newts, also known as Smooth newts, predate heavily on tadpoles and frogspawn in springtime, and male Common newts can be spotted due to their vivid orange and black spotted underbelly which is a temporary colouring worn during the mating season. Smile, Its Spring... For A day! 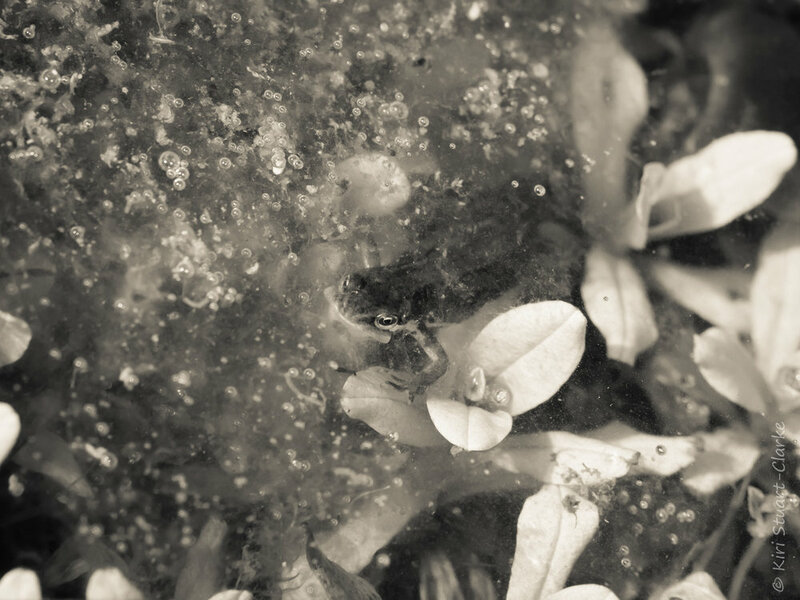 Hopefully the treacherous weather will not be too damaging to this year's frogspawn. 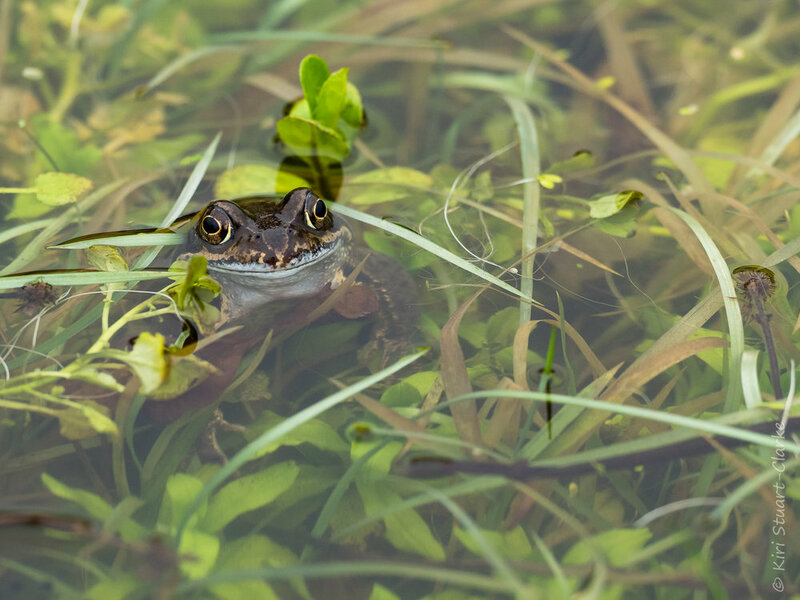 Hard to believe just three days ago my wildlife pond was an amorous hotspot with over half a dozen frogs busy making frogspawn. Today the pond is frozen over again and the ground has at least 2 or 3 inches of snow being swept around by the "mini Beast". Three in a bed.... male frogs swarming aorund a female. 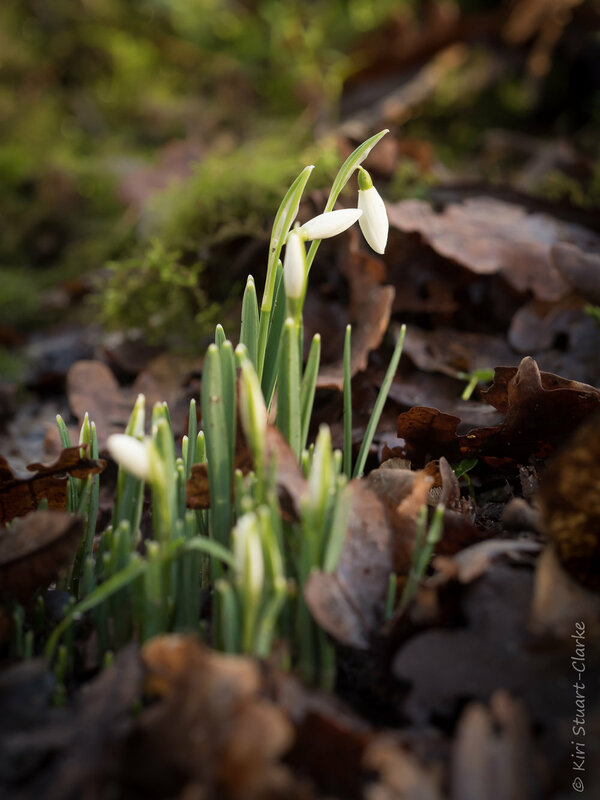 Winter definitely had a vicious sting in its tail this February. 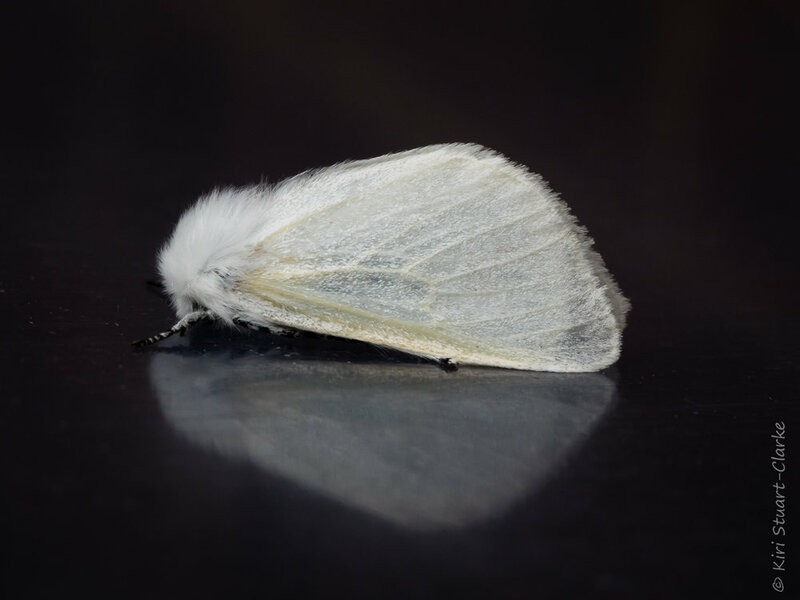 A "sudden stratospheric warming" over the North Pole, in itself disturbing at this time of year according to climatologists, caused a sharp cooling in lower levels of our atmosphere and via a complex chain of meteorological events reminiscent of the metaphor about the butterfly that flapped its wings on one continent and caused a hurricane on another, brought about heavy snowfall that covered virtually all of the British Isles. An unusually strong and harsh northeasterly wind stream dubbed the "Beast from the East" triggered a bitter cold snap then swept in heavy snowfall, which was in turn intensified by strong drifting due to the fierce, biting winds that blew continuously for days. Here in big sky Norfolk we were heavily exposed to "the Beast" and much of the county was cut off by incredibly large snowdrifts formed by its winds. These, I noticed, were far deeper in areas where the farmers' field verges lacked hedging, a stark reminder of the environmental value of this oft overlooked habitat, which for many years was ripped out to maximise the yield potential of the land in ill-conceived agricultural efficiency drives. Thankfully many incentives now exist for re-establishment of these vital wildlife corridors and natural windbreaks, so hopefully Norfolk will improve its reputation among hedge layers in years to come.